All product specifications in this catalog are based on information taken from official sources, including the official manufacturer’s Expert line websites, which we consider as reliable. Unfortunately, even the official documents may contain mistakes and printing errors – we are not able to confirm that all of these data are precise and represent the facts. Most of the manufacturers reserve the right to change the product characteristics or complement without notice. 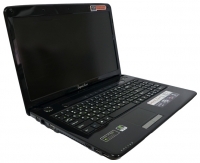 We strongly recommend using the published information as a basic product Expert line ELN 07,156 FHD (Pentium B960 2200 Mhz/15.6"/1920x1080/4096Mb/500Gb/DVD-RW/Wi-Fi/Bluetooth/DOS) review. Please refine the important parameters by the selling assistant when making a purchase. All content included in this catalog is the intellectual property of Specsan. Any publication or copying (full or partial) without a reference to the source page is prohibited.